PTFE is the ultimate hose material. 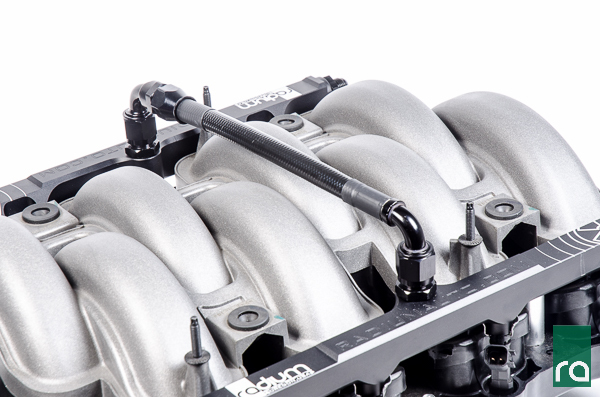 It has outstanding resistance to chemicals including alcohol fuels such as methanol, ethanol, E85 and leaded fuels such as race gas. PTFE hose has ~zero~ permeation and will not emit vapors like rubber fuel hose, so it is safe to use in confined spaces such as a vehicle’s trunk. 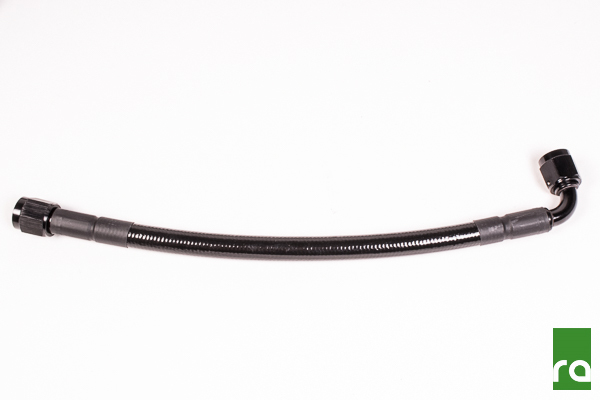 These PTFE hoses area also rated for high pressure use (1000+psi). 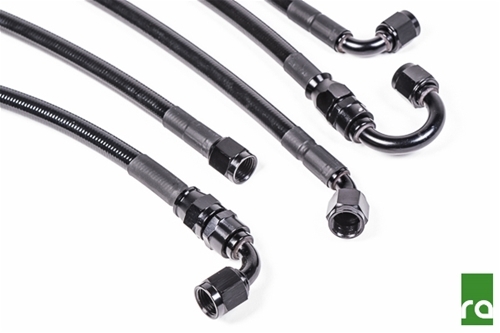 These pre-fabricated -6AN (3/8" ID), -8AN (1/2" ID) and -10AN (5/8" ID) hoses are offered in various lengths and hose end fittings. They feature an extruded PTFE (fluoropolymer) core wrapped in a stainless steel wire braided sleeve and finished with a black anti-abrasion outer cover made from PVC. Rated for use in extreme temperature environments (-65F to +450F). The hose ends are anodized aluminum and are either crimped-on or removable, depending on the hose configuration selected. They are shipped pre-assembled and are ready for immediate installation. 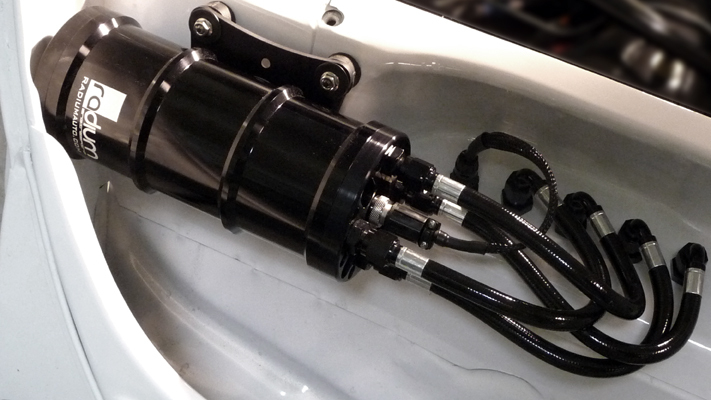 Hoses with angled fittings on each end incorporate a swivel on one fitting.